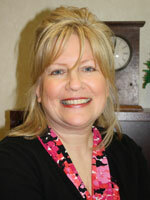 Laurie Miller, M.S., L.L.P., C.T.S earned her Masters Degree in Clinical Psychology from Madonna University in 2005. She earned a Certificate as a Trauma Specialist in 2009 from The National Institute for Trauma and Loss in Children. Before beginning her endeavors at Renee Applebaum, Ph.D., P.C., in 2007, Ms. Miller worked under the supervision of another Neuropsychologist, administering test batteries and providing psychotherapy for both children and adults. At Renee Applebaum, Ph.D., P.C. Ms. Miller works as a Psychometrician, administering and scoring comprehensive neuropsychological test batteries. She also works providing psychotherapy to adults with a wide range of psychological conditions including Post Traumatic Stress Disorder, chronic pain and other adjustment issues as well to persons with neurologic conditions including traumatic brain injury. Ms. Miller is a member of the Brain Injury Association of Michigan.